Using a survey of 1176 people who feed birds and record their observations of birds in the Project FeederWatch database, the researchers found that most people noticed natural changes in their backyards that could be due to feeding, including an increase in the number of birds at their feeders, a cat or hawk near their feeders, or a sick bird at their feeders. “From my 17 years working with people who feed birds as part of citizen science projects, I’ve heard a great deal about their impactful observations at their feeders. This study provides important information about the breadth and pattern of these experiences through responses of over 1000 participants. The findings will help us at Project Feederwatch improve how we work with bird watchers toward our shared goal of bird conservation,” said co-author David Bonter, Director of Citizen Science at the Cornell Lab of Ornithology. 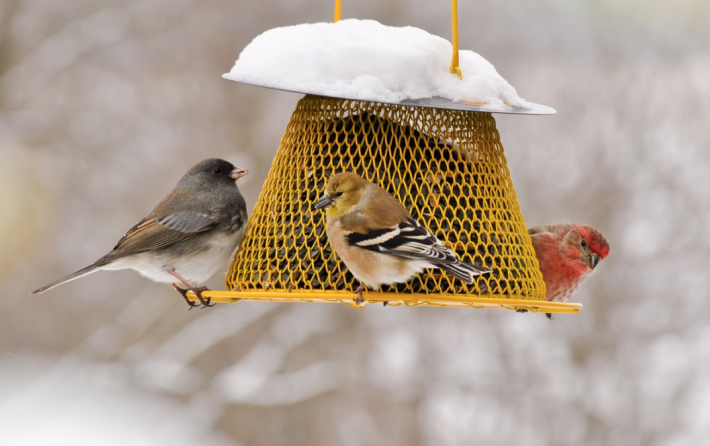 One surprising result that the researchers found in this study was that when deciding how much to feed birds, people prioritized natural factors such as cold weather more than time and money. Dayer and Hawley are both affiliated faculty of the Global Change Center, which is housed within the Fralin Life Science Institute at Virginia Tech. This research was funded by the Global Change Center at Virginia Tech and the Institute for Science, Culture, and Environment.